One of the defendants in the trial into the death of a man whose headless body was found in a Bedfordshire lake has been acquitted of familial homicide. Michael Gilbert was found in the Blue Lagoon in Arlesey, last May. 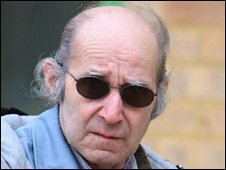 Antonio Watt, 70, was acquitted of the charge on the direction of the judge at Luton Crown Court. His sons Robert and James Watt, of Chertsey Close, Luton, are charged with murdering Mr Gilbert and are also accused of familial homicide. Their mother, Jennifer Smith-Dennis, 58, is charged with familial homicide and two counts of perverting the course of justice. Antonio Watt is also charged with perverting the course of justice. Judge John Bevan QC told the jury he had reached the conclusion that the prosecution could no longer ask them to bring in a guilty verdict regarding Antonio Watt. He said there was no evidence putting Mr Watt and Mr Gilbert together at the Watt family home in Luton during January last year when Mr Gilbert the prosecution say Mr Gilbert was killed.